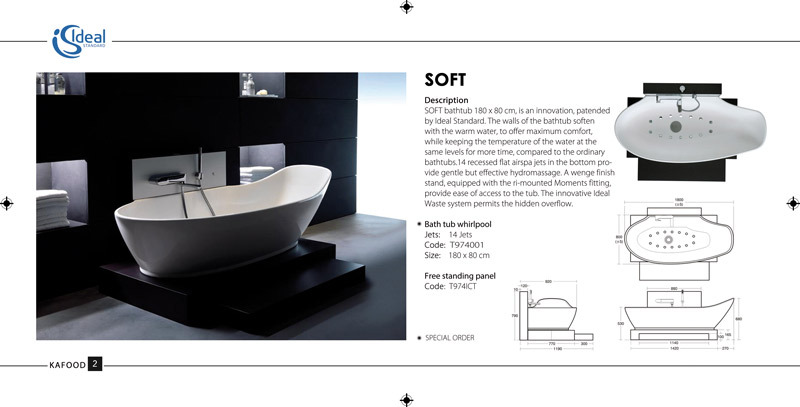 SOFT bathtub 180 x 80 cm, is an innovation, patended by Ideal Standard. 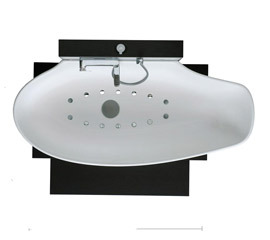 The walls of the bathtub soften with the warm water, to offer maximum comfort, while keeping the temperature of the water at the same levels for more time, compared to the ordinary bathtubs.14 recessed flat airspa jets in the bottom provide gentle but effective hydromassage. 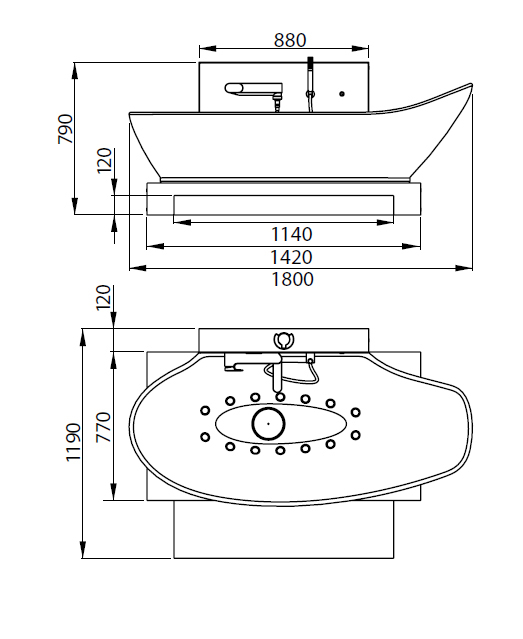 A wenge finish stand, equipped with the ri-mounted Moments fitting, provide ease of access to the tub. The innovative Ideal Waste system permits the hidden overflow.